For over half a century, Johnson’s criteria — named for Army scientist John Johnson — have been used to evaluate the performance of visual tasks by users of night vision systems. Today, while others have improved on Johnson’s original criteria, they remain important for optimizing thermal camera setup. 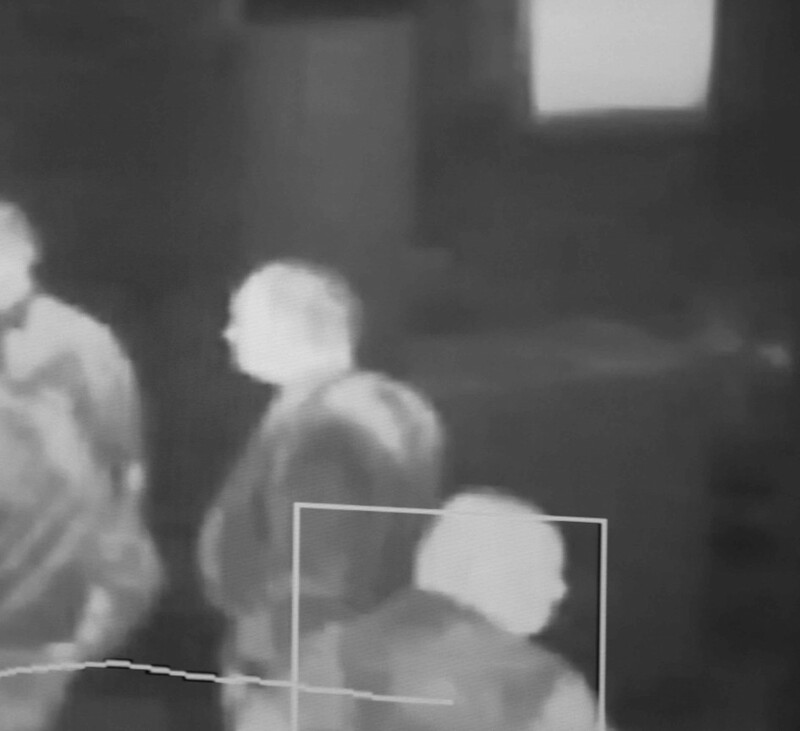 If your company uses thermal cameras for surveillance, here’s what you need to know about Johnson’s criteria and how they can impact long-range thermal camera price. Johnson’s criteria are a set of minimum standards used to evaluate how well a night vision thermal imaging system can detect an object under specific conditions. To assess this, Johnson’s criteria use digital signal processing measurement and analysis to interpret a field test of the night vision equipment. For the test, a target object, such as a soldier or a tank, is placed at a distance where it is barely detectable by the night vision equipment. To digitally interpret the object, a horizontal or vertical barcode is also placed in the field of view at the same range, and its spatial frequency is increased by adding bars until the total number of bars becomes difficult to distinguish. The spatial frequency of the pattern can then be specified in terms of the number of lines needed for a pattern that covers the object’s minimum dimension, such as the number of horizontal lines needed to cover the height of a tank. This method is used to express resolution in terms of line pairs, where a pair is formed by a bar and the white space between it and the next bar, together equivalent to two pixels on a TV screen. Identification: identifying descriptive details of the object, such as whether a vehicle is a pickup or a minivan. How well a surveillance system performs according to these criteria can affect its quality rating as well as thermal camera cost. These criteria can also be used to help optimize surveillance system set-up by determining where a camera should be placed to capture the desired resolution. John Johnson originally developed his criteria over the course of 1957 and 1958 while working for the United States Army’s Night Vision and Electronic Sensors Directorate (NVESD, now a directorate within the Army’s Communications-Electronics Research, Development and Engineering Center or CERDEC). NVESD was then housed under the Army Corp of Engineers’ United States Army Engineer Research and Development Laboratory (ERDL), which since 1954 had supervised the first Army research group devoted to night vision, the Research and Photometric Section. The Army had been developing night vision since World War II, which saw the introduction of carbine-mounted infrared active night vision devices known as “snooperscopes” and “sniperscopes.” The Korean War sparked further research and development, setting the stage for Johnson’s work. Johnson built on the work of previous researchers such as television pioneer Otto H. Schade, who had developed mathematical tools for measuring the optical performance of televisions, films and cameras. Johnson designed his criteria to measure the probability of detecting an object given a certain resolution. Later researchers continued to improve upon his original criteria. Are Johnson’s Criteria Useful Today? Johnson’s original criteria had some limitations that more recent researchers have sought to overcome. One problem is that Johnson’s model did not accurately predict target detection in bad weather conditions. Another problem is that Johnson did not take into account differences between different human observers’ ability to detect objects. Despite these limitations, Johnson’s criteria have provided a useful foundation for researchers to build on, and in modified form, they remain in use. Their applications have expanded beyond military use to include civilian thermal security and surveillance cameras, airport security screening for guns and bombs and identification of medical targets inside the human body such as broken bones. Thermal imaging equipment manufacturers continue to use Johnson’s criteria to define the range of camera performance. Johnson’s criteria measure how well night vision equipment can detect objects and provide useful information about them for purposes of orientation, recognition or identification. Understanding how Johnson’s criteria are used to measure night vision equipment performance can help you in evaluating thermal camera cost. Interested in thermal security cameras to protect your site? Get in touch. We’re happy to answer any questions you may have about thermal security cameras.